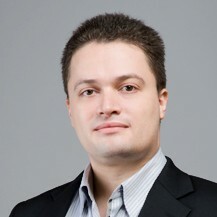 Hi, let’s meet the exclusive interview again, this time we come to interview Venture Capital (VC) , with Dmitry Levit, General Partner of Digital Media Partners (DMP) about the investment in Southeast Asia (SEA). thumbsup: Please introduce DMP background and how do you establish this company? Dmitry: Digital Media Partners (DMP) is a venture capital firm focused on building regional companies in Southeast Asia (SEA). We believe that despite the diversity of SEA markets and the unique challenges in each of SEA countries it is possible to build successful digital companies spanning the entire region, and that it’s worth doing so as such companies tend to be more valuable and more sustainable in the long run. So, back in 2011 we decided to put a team and a fund together that would help companies looking for regional footprint to cross their borders – whether it would take cash, business development, legal help, recruitment, further fundraising, or – as it usually does – all of the above. It is interesting to note that quite a few of the companies that inspired us to adopt this particular strategy actually come from Thailand, the country that has given raise to more than its fair share of such regional champions. Ensogo, AsiaSoft, Agoda, and more recently 2C2P (disclosure: a DMP portfolio company) have all managed to succeed not just at home but also across SEA and sometimes beyond. thumbsup: Which round of venture funding that you support? Dmitry: Digital Media Partners is a late series A/early series B investor, supporting companies as they prepare for their regional expansion, and after they’ve proven their model in their domestic market. Our strategy is to commit an initial investment between US$ 500,000 and US$ 1 million to take digital companies from traction in a single country to one or two more markets in Southeast Asia, and then to make follow-up investments of up to US$ 3 million when companies need to expand further. We are not an early stage investor and do not work with companies pre-product or pre-revenue – this is the responsibility of angel, seed, and Series A investors in each particular market in SEA. Dmitry: We all come from a consumer internet industry ourselves (the team has a mix of ecommerce, finance tech and advertising experience across both mature and emerging markets, from the UK to Vietnam and from Indonesia to Russia). We like every digital service that touches consumer directly and makes their life better, whether it is eCommerce, or listings and marketplaces, or travel, or entertainment. Every now and then we also spot part of infrastructure of consumer internet that doesn’t perform well enough and work with entrepreneurs to fix that – so you’d see us strongly invested in payment systems and advertising tech for example. Has the team figured out a way to delight and serve their customers under challenging conditions of an early stage digital ecosystem and have they proven they can generate reasonable revenue and traction in their home market? Would the approach the team took work – with minor adjustments if necessary – in other, equally or more challenging, markets in SEA? And if both answers are positive, we engage and work together with the entrepreneur on establishing their operations around the region, market by market. thumbsup: Please share the success case of companies which DMP invested both in Thailand and other countries. Dmitry: 2C2P would be one example of a company already very successful in its domestic market (Thailand) that took DMPinvestment and worked with our team to access such far-flung markets as Vietnam, Indonesia, and the Philippines. As you know from previous coverage (link), 2C2P’s mission is to enable merchants to collect payments seamlessly and to overcome such endemic shortcomings of the SEA ecosystem such as low trust in digital payments and lack of bank services and payment card penetration. The team behind 2C2P (link) and their latest service, 123 (link), has decisively proven that while consumers in Vietnam, Indonesia, Thailand and the Philippines are very different in how they shop, what they buy, and how they prefer to pay; the challenges that banks and retailers face trying to accommodate them are very similar in nature. In 2C2P’s case, know-how from Thailand helps resolve payment issues from Hanoi to Jakarta. 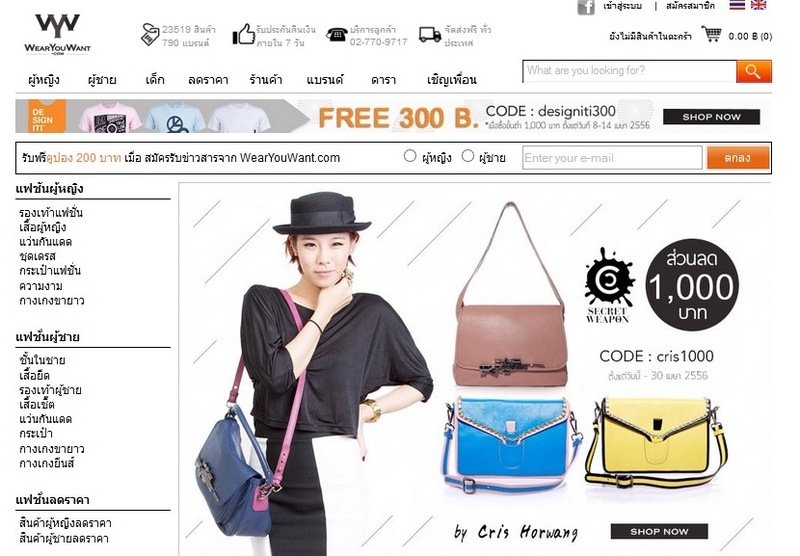 WearYouWant, the company we’ve only teamed up with recently, has been another highly successful growth story – by working with retailers to help them thrive in the digital environment, they’ve been able to grow amazingly in Thailand and we’re now looking to bring their solution to more markets in SEA. Watch this space for more news! To take another example from elsewhere in Southeast Asia…AdzCentral is a company we have been working with for a few years. It provides a platform for ‘scientific media buying’, which means buying highly targeted, performance-based digital advertising. It helps companies that want to buy advertising that targets specific groups of customers across the various digital channels (display, social, search, video) within a single, simple-to-use interface. AdzCentral has been very successful in helping advertisers and agencies based in Singapore, and is now in the process of expanding region-wide. thumbsup: What do you think about startup ecosystem in the emerging countries such as Thailand, Vietnam, Indonesia etc. Dmitry: One key insight that drives everything we do is that to matter in digital industry today, you have to show scale. Each particular market in SEA – even as huge in terms of population as Indonesia – eventually works out to just so many 10’s of millions of internet users, and only single digit millions in each country can afford to spend meaningful amounts of money online. So, for the start-up ecosystem of SEA to really blossom and attract attention from around the world we need a generation of entrepreneurs that think about the world, not in terms of countries, but in terms of regions and even continents. We already have examples of businesses from KL, Jakarta and Bangkok with traction in the Middle East, and India, and Africa – way beyond SEA. Dozens and hundreds of those will really change the game in digital emerging markets. thumbsup: Any kind advice for the startup in Thailand? Dmitry: Do not think about yourself as a start-up in Thailand! remember that hardships you’re battling and solutions you’re coming up with may already be old news in Vietnam or the Philippines (so learn from them), could give you distinct advantage in Jakarta or Malaysia (so expand there), and could win you enough revenue, support, and momentum to take on massive markets and opportunities even beyond SEA.